Never misplace or mistake your drink at a party again. These adorable Party People glass markers from Vacu Vin are a clever and attractive way to mark drinks at any get-together. 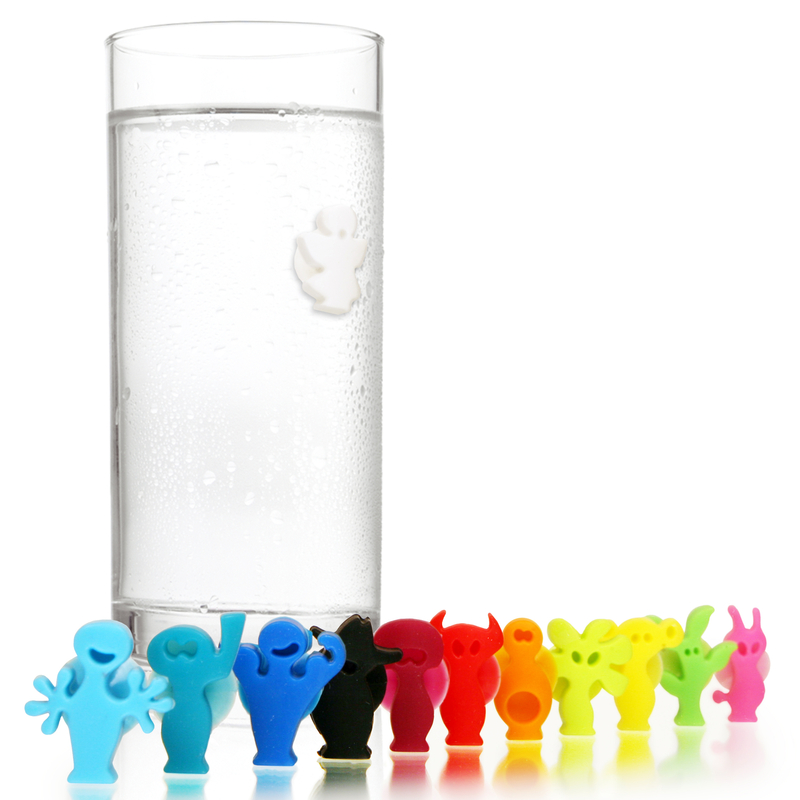 The little people are made to suction right onto the smooth surface of your guests' glasses. Make your glasses an entertaining conversation piece with the 12 unique characters and colors in this amazing set.